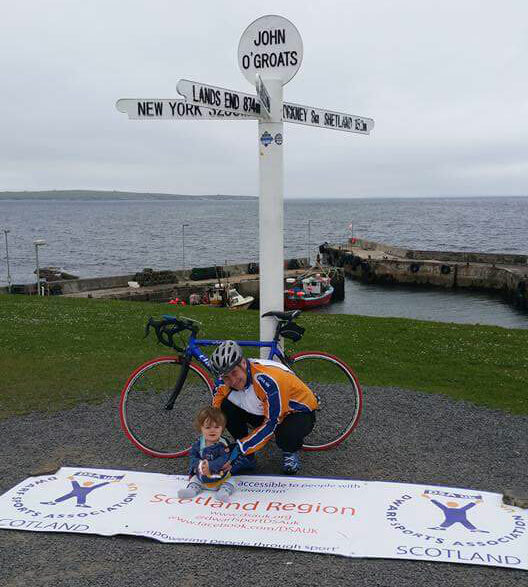 DSAuk member Graham West is doing a JOGLE, cycling 874 miles from John O'Groats to Lands End. So far Graham has average nearly 100 miles each dy. All to raise money for the DSAUK newly formed Scottish Region. Several DSAUK members are plan to join Graham on his journey as he makes his way down the country. DSAUK receive occasional updates, when Graham manages to take a brake.